The Renico Group takes its responsibility as a corporate citizen seriously, endeavouring to ensure that all its activities have a positive impact on the communities in which it works and from which many of its employees are drawn. It aims to be a facilitator of social development and encourages meaningful and sustainable interventions, always in partnership with local communities and often in partnership with other donors. This partnership encourages support from governmental agencies, NGO’s and Community Based Organisations, making a positive contribution to poverty alleviation, community development and enabling government to facilitate improved service delivery and local economic development. It places specific emphasis on black youth, HIV/Aids, senior citizens and people living with disabilities. 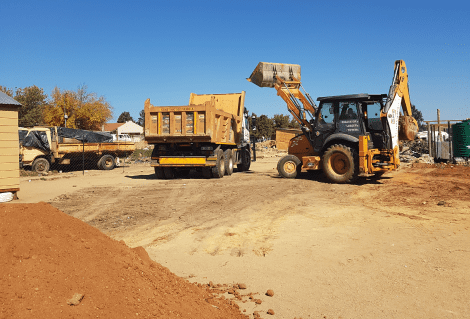 Assistance with site clearing and levelling, road maintenance and sports field development for numerous local community organisations, particularly in the Zandspruit and Cosmo City areas. Donations of warm clothing to disadvantaged communities. The company undertook the construction of the Gateway Primary School Hall. The newly completed school hall was officially opened on 6 June 2012. Nico and Renske Louw of Renico Construction, along with many of their loyal contractors and suppliers, attended the memorable function and it was with great pride and sincere gratitude that Mrs Kempen and her Management team officially proclaimed the Renico School Hall open. Renico also undertook the building of the Gateway Home for the Elderly at a heavily discounted rate, again motivating many of their loyal suppliers and sub-contractors to donate, or discount considerably, the materials and labour required for the project, as they did with the construction of the Hall. The Home was officially handed over to the Gateway Village on 1 July 2014. The handover was reported in an article that appeared in the Roodepoort Northside Chronicle. The Gateway School is a leading school for learners with special educational needs, and many of these learners continue to receive assistance from the Gateway Society for their entire lives. In July 2015 Renico Construction, with material assistance from it’s loyal suppliers, undertook the construction of a shelter and stands for the assembly area at the Matla Combined School in Kromdraai. In June 2018 the company undertook Field Maintenance on the sports fields in the Zandspruit Informal Settlement for the community Sports Day organised by the Impophomo organisation. In May 2018 Renico Plant Hire helped Hot Cares, the community upliftment initiative of 91.9fm radio station, with a creche upliftment project. Ground was levelled at The Hlalisekani Playgroup in Kya Sands for a new playground and shaded area. 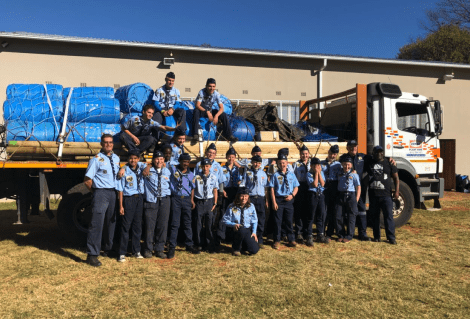 Renico Plant Hire assisted the Fairlands Air Scouts Group with a Low Bed Truck and driver to transport their raft material for the KonTiki Raft competition held on 18 May 2018 to 20 May 2018 at Arrowe Park, Benoni, Gauteng. This is an annual event for Scout Groups across Gauteng. This year 58 Scout Groups participated in the KonTiki competition, and the Fairlands Air Scout Group came in 8th place overall. 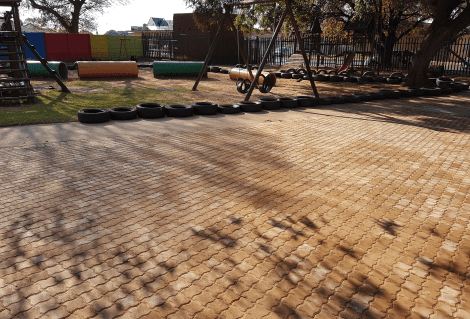 In June 2017 Renico Plant Hire, in partnership with Taljaard Gardens and Paving supplied and installed paving at the Thandanani Daycare Centre in Newlands, to reduce the dust and dirt in the play area. The paving made a huge difference to the quality of the environment for these children. 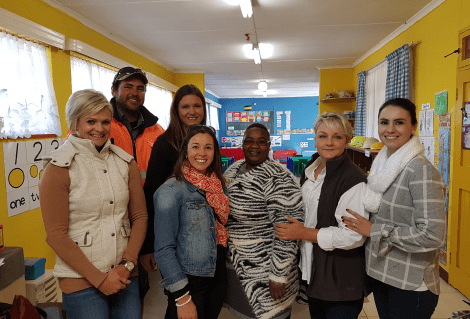 Principal of the Thandanani Daycare Centre with Renico and Taljaard Staff.